SIX ENDANGERED LEAR’S macaws (Anodorhynchus leari) have been released back into their native habitat in north-eastern Brazil by a conservation charity. The Loro Parque Foundation, based in Tenerife, has been working in partnership with the Brazilian government for the past 13 years and has successfully bred 30 macaws from two pairs donated by the government in 2006. Consequently, the species’ IUCN Red Listing has now been lowered from Critically Endangered to Endangered. 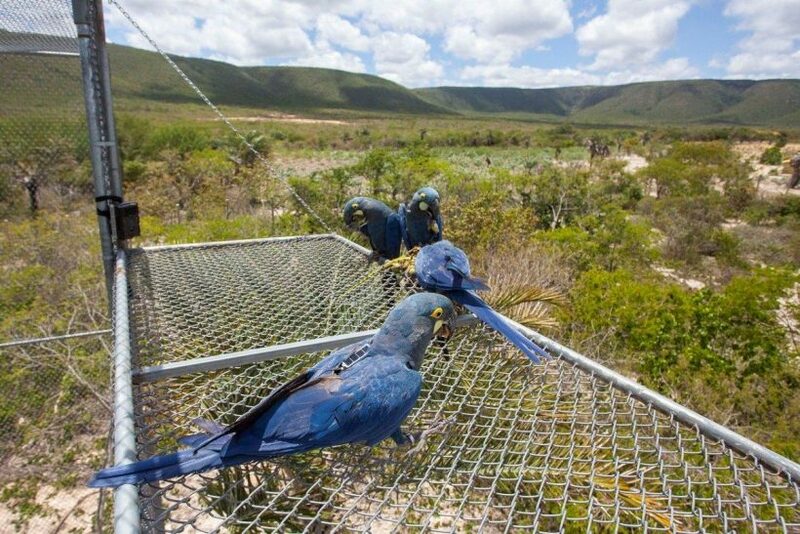 However it was always the Foundation’s intention to reintroduce the macaws to their native habitat in the harsh conditions of the caatinga, a desert eco-region in the interior of north-eastern Brazil. 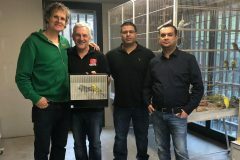 A total of 15 birds have now been sent to Brazil, nine of them forming the basis of a breeding programme, while the remaining six were earmarked for release under strictly controlled conditions. The birds were initially housed in a large aviary in conditions closely resembling their natural habitat, while fruit was placed in the vegetation just outside the aviary to ensure that the birds would find food easily and be encouraged to stay close by. The first of the macaws was tagged to make sure that its movements could be tracked and, once it had returned successfully from its initial excursion, the rest of the group were released. The Lear’s macaw has now reached an important milestone in its recovery and its continued integration back into its natural environment will be monitored by a team of Brazilian scientists. Rafael Zamora Padrón, scientific director of the Foundation said: “Our team of professionals, together with the Brazilian government, have done a great job that will continue to give very valuable results for conservation worldwide.